Please note that we will be organizing a full day tour to Glasgow on Sunday, June 16th. If you plan on taking this tour, you will need to arrive on Saturday, June 15th. 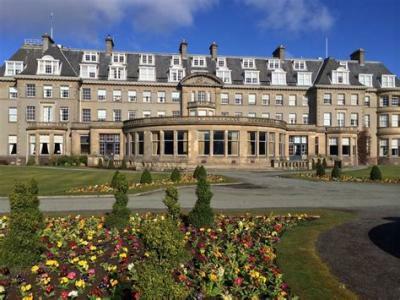 • Six (6) nights accommodation in selected room type at the Gleneagles Hotel & Resort. • All taxes including VAT and city taxes on room and meals. • Gratuities for breakfast and lunch as listed above. 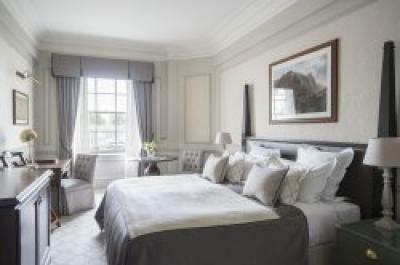 • Complimentary wi-fi, television, pillow menu, Asprey hair & skincare products. 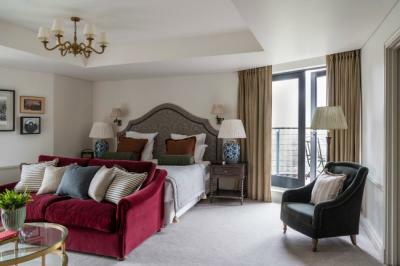 These beautifully appointed inner-facing rooms offer the essence of the elegance of Gleneagles in the most compact bedroom setting. These larger inner-facing rooms have elegant bathrooms and high standards of luxury. Slightly smaller rooms with views over the hotel grounds with the same standard of luxury and elegance. 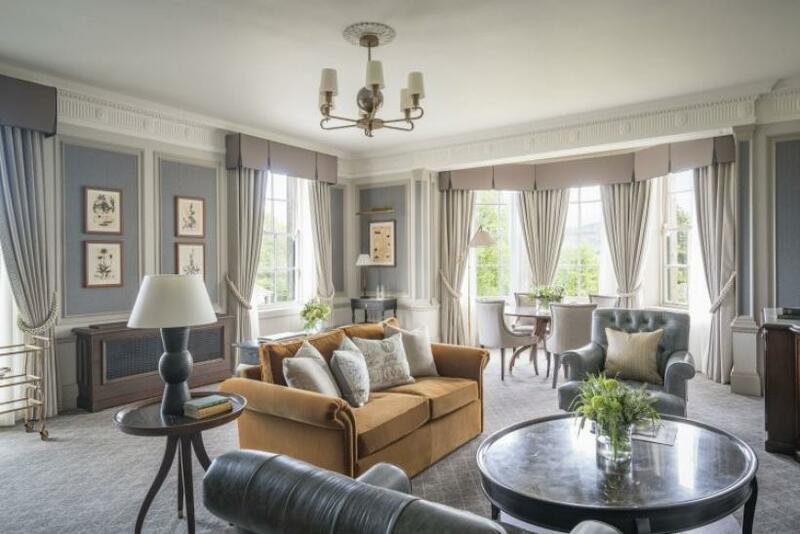 spacious Estate Rooms showcase beautiful views and elegant furnishings, ensuring a reflection of the warm spirit of Gleneagles. 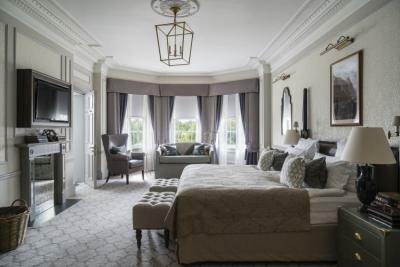 With stunning views of the hotel grounds, each individually-designed Suite is a luxurious home away from home. 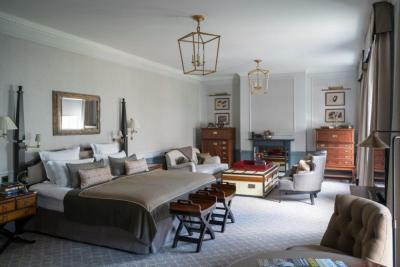 The suites offer separate sitting and dining areas and luxurious bathrooms with underfloor heating. Completed Hotel Registrations forms may be scanned and emailed to NGreen@sanditz.com or faxed to Nadine or Chris at Sanditz Travel at (001)860-233-2331. $ 250 room cancellation fee in addition to penalties imposed by the Hotel. There will be no refund on cancellations received on or after April 15, 2019. Completing Hotel Registration Form acknowledges acceptance of the terms and conditions. Please contact Nadine or Chris at Sanditz Travel at (001)860-344-7048 ext. 1600 or 1602 or email them. Prices may increase if there are major changes in exchange rates or taxes, all is quoted in USDollars. Reservations should be made through our official travel agency, SANDITZ TRAVEL. Please call Nadine Green or Chris Tanguay at 860-344-7048.